PRODUCTS & SERVICES TO MAKE YOU A WINNER! CLOSE MORE DEALS	- GAIN INSTANT RAPPORT - USE THE POWER OF NLP - INCREASE CUSTOMER SATISFACTION - CREATE OPPORTUNITIES - MAKE MORE MONEY! 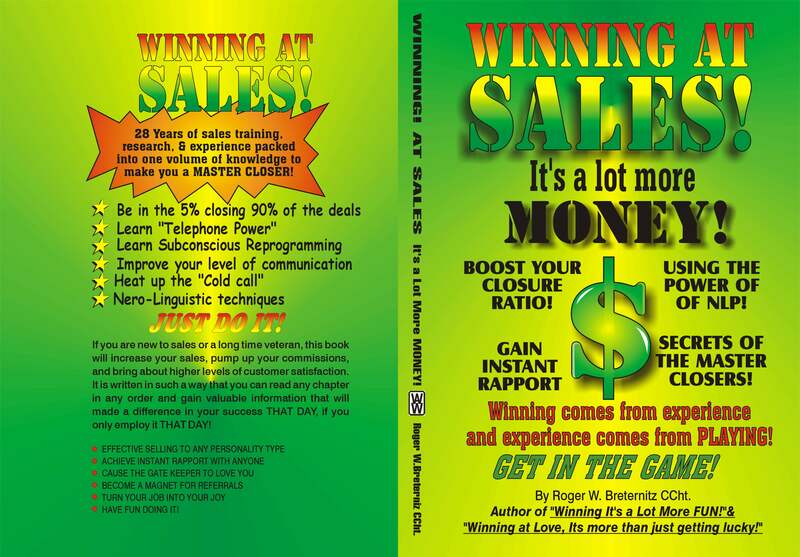 WINNING AT SALES, IT'S A LOT MORE MONEY! It has been said that over 90% of people making their living in sales, have never read ONE book on the art of selling. If you are one of these people THIS is the one book to read!! If you are now in sales or want to get into sales, and realize you don't know everything there is to know about how to create rapport, instill confidence, and close more business, then you really need this book! It contains the secrets of Neuro-Linguist Programming, embedded commands, analog marking, matching, mirroring and pacing, eye blink technique, and many other little known "Deal closing" concepts only known by the few upper level "Master closers". This is a boiled down and simplified collective of over 25 years experience and 16 different sales training programs from major corporations. It provides you with powerful information and techniques that you can take out an use instantly, turning your efforts and your phone into a cash cow like never before. So don't wait until your company tells you that you need to "Meet or exceed quota" to keep your desk, start WINNING AT SALES today, it's a lot more money! The experienced salesperson who realizes there’s always something new to learn to become more effective, with less effort, and increase their income. The person that is new to the sales business. It will greatly shorten their learning curve, and give them the tools necessary to be more successful without having to learn by “Experience”. Anyone on EITHER side of the sales negoiation that would like to come out a WINNER! The sales manager wanting to train his/her salespeople to attain a higher level of proficiency. TO PURCHASE Winning At Sales CLICK HERE. Read the dedication page CLICK HERE. 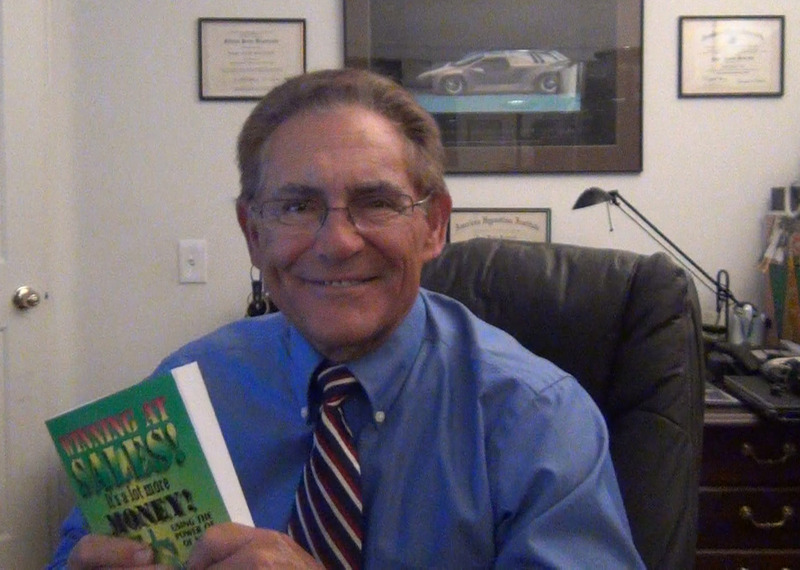 SEE THE NEW VIDEO DESCRIPTION - Learn how this book can make a powerful difference in your life. Click photo at right to view Roger Breternitz explaining some of the areas of the book and what it can do for you, how it can make a vast difference in your belief systems, and give you options for creating a new more powerful, self-directed YOU! JUST DO IT!